A boy, his dog and a Buzz Lightyear = The best of friends. When I was a boy it was me and Poochy (looked just like Benji). We spent a lot of time exploring the woods around where I lived. Today it is hard to find areas like that to wander around in that are safe. I miss those days. Is this a new doggie park? I don't remember seeing those yellow things before. 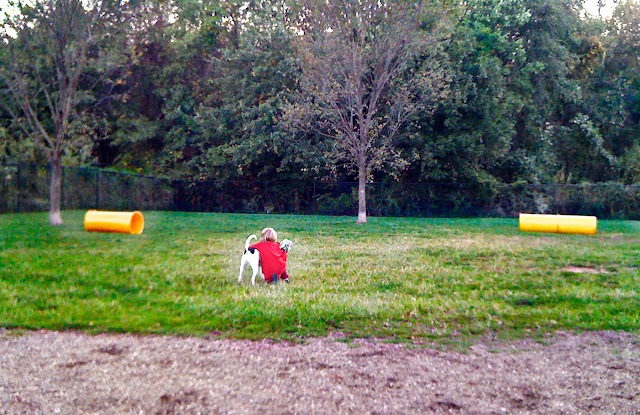 it's the same dog park we've always gone to, the yellow things have always been there. I've never seen a dog ever go through one before.